Place of Birth: Livingston, N.J.
From beloved son and international soccer player to loving brother and respected philanthropist, Jozy Altidore wears many important hats in life. And they're roles he embraces and cherishes on and off the field of play. Altidore currently plays striker for the United States Men's National Team and Toronto FC of Major League Soccer. The youngest of four children, Altidore was born November 6, 1989, in Livingston, N.J., and raised in Boca Raton, Fl. He enjoyed playing the game from the time he was a boy. As a budding youth star in South Florida, Altidore played club soccer for Boca Raton Juniors Soccer Club, winning the Florida State Cup and placing second at the Dallas Cup, before joining the U.S. U-17 Residency program as a 15-year-old phenom. 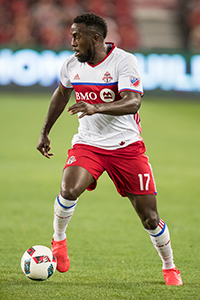 Altidore has represented the U.S. on various levels of international competition, featuring for the U.S. U-17 team at the 2005 FIFA U-17 World Championship, U-20 team at the 2007 FIFA U-20 World Cup, the U-23 team at the 2008 Beijing Olympics and the senior national team at the 2009 FIFA Confederations Cup and 2010 FIFA World Cup. Altidore made his professional debut in 2006 at the age of 16 with the New York Red Bulls of Major League Soccer. In the middle of his third season with New York, in 2008, he made a transfer to Villarreal. During his time with Villarreal, he left on three loan stints - with Spanish Segunda Division club Xerez in February/May 2009, English Premier League club Hull City for the entire 2009/10 season and Turkish club Bursaspor, where he went on a six-month loan. Then, in the summer of 2011, Altidore made the full-time switch to AZ Alkmaar, where he cultivated his skills and led the club to the 2012-13 KNVB Dutch Cup title, before being transferred in July of 2013 to Sunderland of the English Premier League. 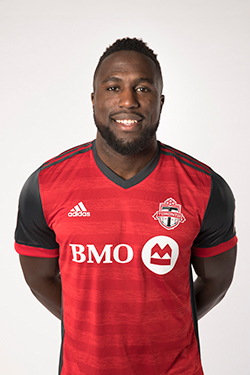 In January of 2015, Altidore completed a full transfer from Sunderland to Toronto FC of Major League Soccer. In 2007, Altidore was a candidate for ESPN's Next Award and is one of the stars featured in Adidas' "Impossible is Nothing" advertisements. Altidore is featured on the cover of the North American version of FIFA 08 by EA Sports, alongside Ronaldinho and Guillermo Ochoa. 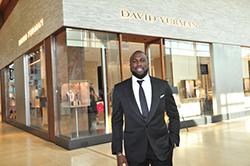 In November 2006, Altidore, along with New York Red Bulls teammates Seth Stammler and fellow Haitian-American Jerrod Laventure, accompanied Haitian-born Grammy Award winning musician Wyclef Jean on a six-day service trip to Haiti for Jean's charitable organization, Yéle Haiti. Jean also wore Altidore's No. 17 jersey during a halftime performance with Shakira at the Red Bulls home opener. Following the 2010 Haiti earthquake, Altidore joined the relief effort by asking people to donate to Yele Haiti. He appeared on CNN to discuss his family members still living in Haiti and to encourage people to give money. The catastrophic event hit home for Altidore, due to the fact his parents, Joseph and Giselle, were both born in Haiti. To honor his family's matriarch and patriarch, Altidore pays tribute to his heritage by wearing a wristband bearing both the flags of Haiti and the U.S. during his games. 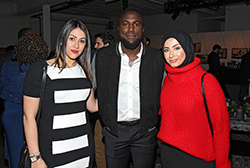 Most recently, as a man who thoroughly enjoys giving back to those in need, Altidore launched the Jozy Altidore Foundation - a non-profit organization that assists underprivileged children around the world - in 2011. The foundation has had a prosperous string of events and fundraisers since its inception, with multiple projects scheduled this year across North America.